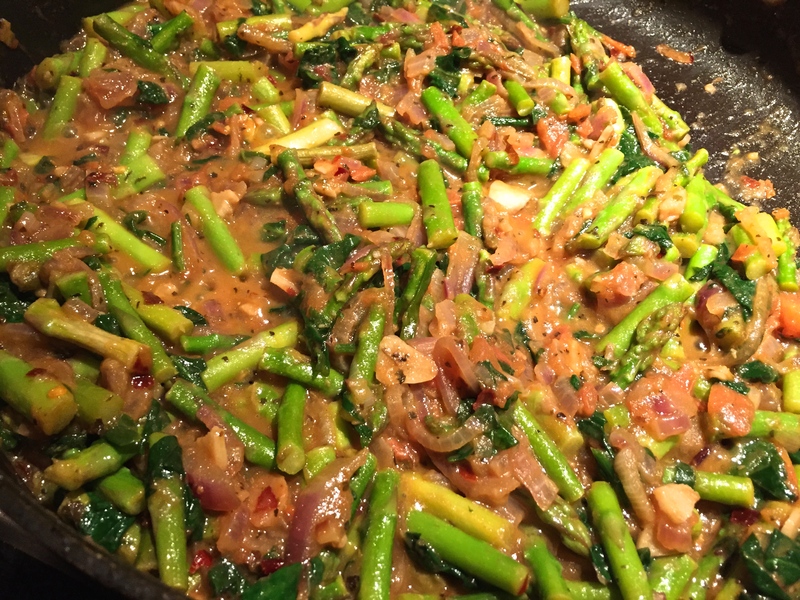 Asparagus and capers are a harmoniously delightful combination. 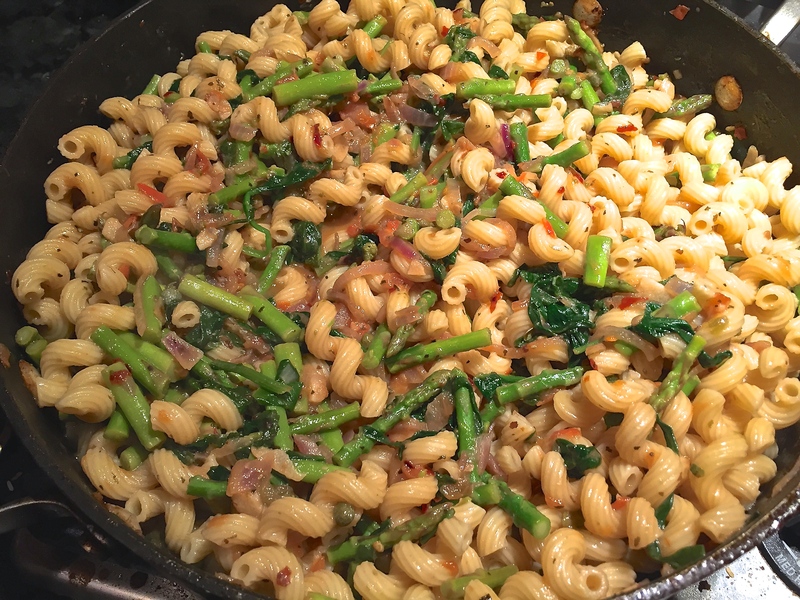 The briny capers and the nutty asparagus added with basil and tomato make a perfect pasta dish. Another easy weeknight dinner that’s comfort in a bowl. Bring a large pot of water to a boil over high heat. Add a couple of pinches of salt and a drizzle of oil to the water. Once water boils, drop the pasta in and cook 7-8 minutes over a rolling boil. Drain and set aside, while the pasta is still al dente. Reserve a cup of the pasta water. Heat olive oil over medium heat. Add the garlic, 2 tbsp chopped capers, crushed red peppers and basil. 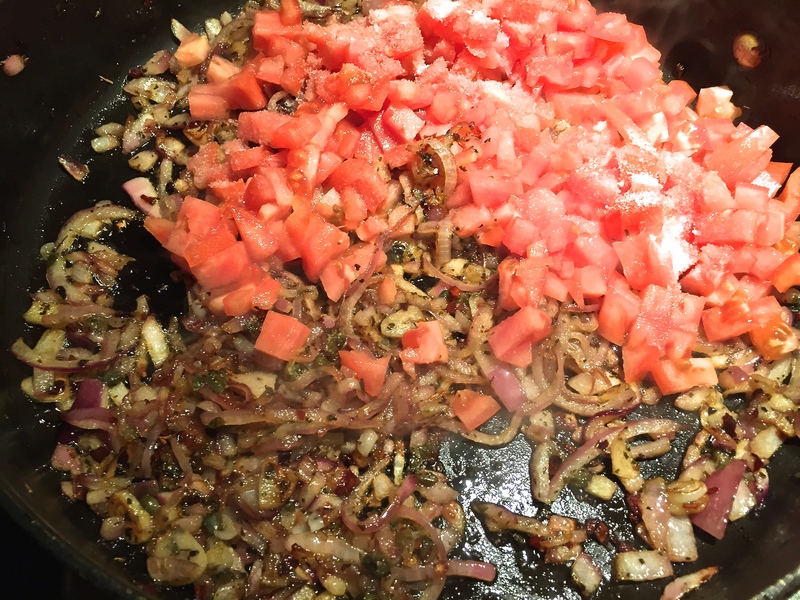 Fry for 30 seconds and add the onions. 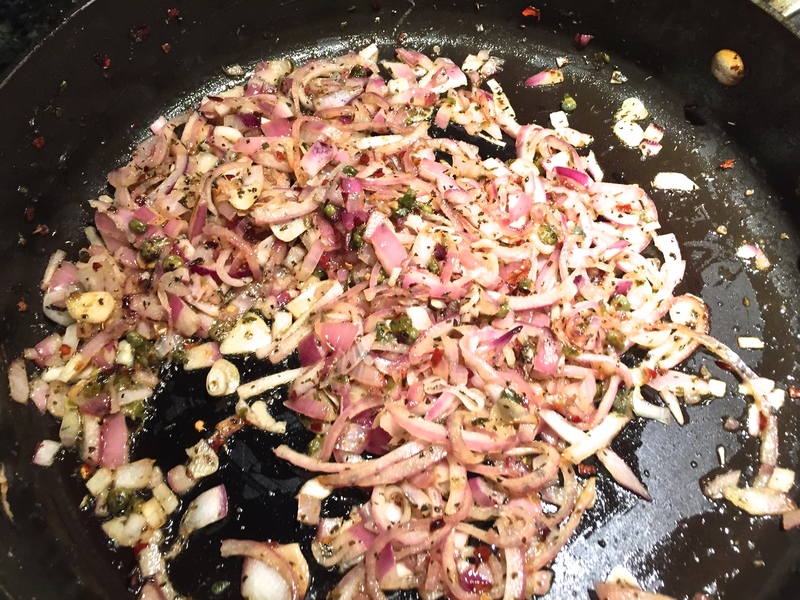 Sauté for 5 minutes until the onions soften. 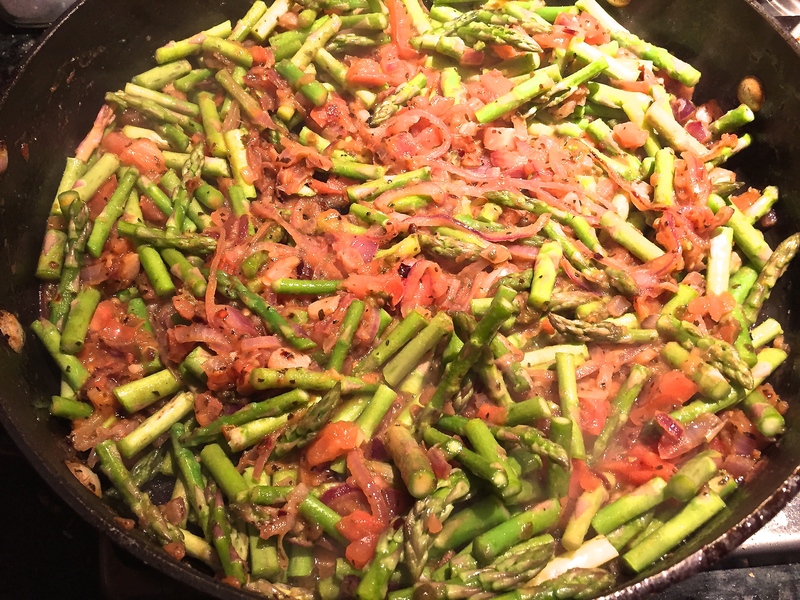 Add the chopped tomatoes and salt. Continue to cook for 5 minutes until the tomatoes start to breakdown. 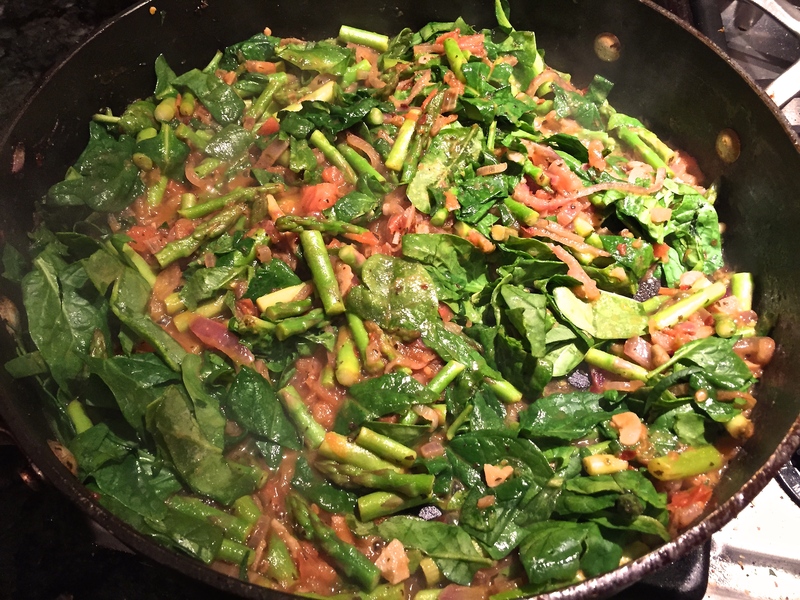 Add the asparagus, followed by spinach. Increase the heat to medium high. 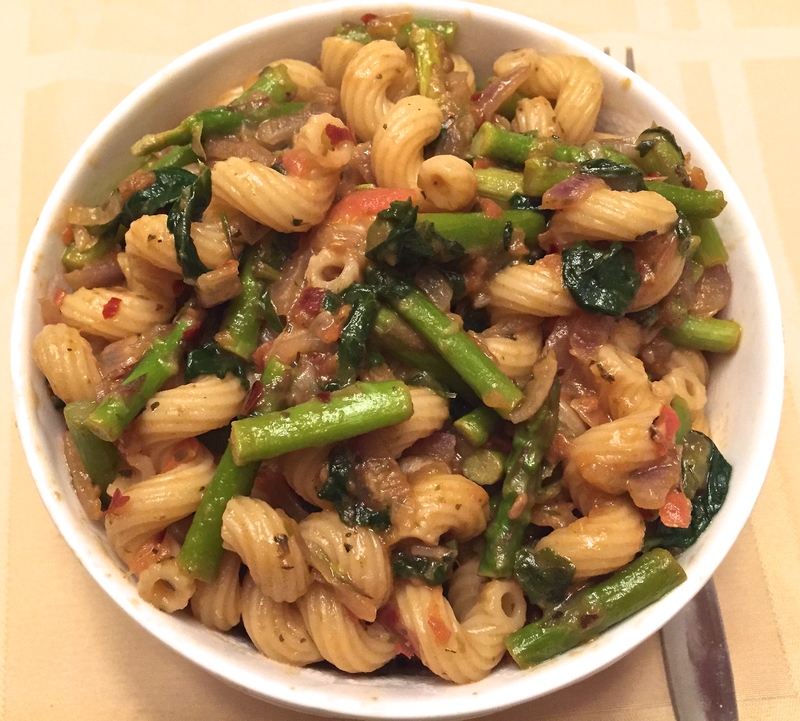 Pour in the reserved pasta water, add the cooked pasta and the remaining 2 tbsp of capers. Cook this all together for 7-8 minutes and serve hot.